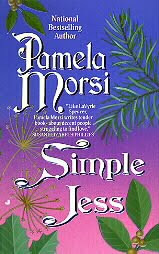 Simple Jess by Pamela Morsi was the first book I read by this author. My friend Reny sent it to me back in December and I read it then in one sitting -- she recommended it as her favorite Morsi book. As always, Reny was right on target with her recommendation, Simple Jess became one of my favorite historical romance reads of 2009. What a great book! In March I read my second book by Ms. Morsi, Courting Miss Hattie and I loved it too! But, before I post my thoughts on that book, I wanted to share my thoughts on Simple Jess. I wrote this review in January and think it's about time I share it with you. The last thing widow Althea Winsloe wanted to do was remarry. Unfortunately, her meddlesome mountain neighbors had other plans. So, one autumn night they banded together and gave Althea a shocking ultimatum: She was to find herself a husband by Christmas... or the town would do it for her! Althea knew she had her choice of any single man in Marrying Stone, Arkansas. Yet the only one she felt truly comfortable with was Simple Jess. Sweet and gentle, Jess wasn't as smart as your average man. But his tender manner stirred Althea's heart in ways she had never dreamed possible. Simple Jess is set in the Osark Mountains in 1906 and Ms. Morsi truly captures the setting. The cast of characters in this book is amazing and the story of Simple Jess and Ms. Althea is so touching it actually made me cry. But theirs is not the only story told in this book, there are secondary storylines about some of the people involved in Jess and Althea's lives that Ms. Morsi develops with much care. The farming community as a whole is so well integrated into Jess and Althea's lives and storyline that I found myself feeling as if I knew the people and the place. I could see them -- I really could. Jess is a wonder of a character. He is hard working, gloriously handsome, honest and... simple-minded. He learned to work hard and to perform tasks by repeating and memorizing instructions. As a man, Jess has a few dreams of his own: he would like to have a gun and a team of dogs so he can hunt and provide for himself and he would like to have a woman. He knows he might be able to get the first two by working hard, but he figures the last will remain a dream. See... Jess is aware of his limitations and how the community views him and he has resigned himself to being "simple." Ms. Morsi definitely excelled in her creation of this wonderful character and more so in developing this romance. For those of you who have read this book, Jess won my heart at "sugar, coffee, cartridges." Miss Althea is a widow with a child -- Baby-Paisley. She's had a tough life and is determined to continue on her own with her child. The community has interfered in her life and she must choose a husband between two beaus, Oather or Eben, to run the farm and to raise her child. I loved the way Ms. Morsi created Jess, but I loved the way Althea's character was developed in this story. We get to know Ms. Althea from the inside out, why and how she comes to love Jess. It is not easy for her to love a man like Jess or to make the decisions she must make. Morsi develops this part of the story and Miss Althea's character thoroughly and for me, that development is the key that makes this romance work. Although this book has plenty of touching moments, I found myself laughing out loud at the amusing dialogue as I read along. But I must admit that Jess' sweet and naive thought process made me giggle more than once -- especially when it came to his sexual thoughts of Ms. Althea. "Her hair hung down. It was real long. He hadn't known that. It hung down the front of her josie and kind of curled around those. . . those big round places that he tried not to think about. Her . . . her round places were really round. And they had points on the end of them. He could see the points through her josie." Simple Jess is a book I highly recommend to those who would like to read a different type of historical romance. 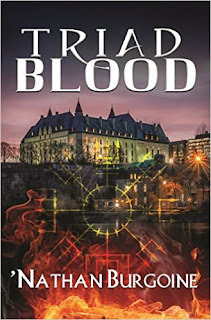 This book is beautifully written, heart warming, with unforgettable central and secondary characters, plus the interwoven storylines make the community come alive without taking the focus away from the central characters. Simple Jess was a winner for me. Will I read the rest of Morsi's backlist? You bet! Ooooh - shades of Tim by Colleen McCullough! Though I felt the ending of Tim wasn't precisely a HEA. It sounds as though this might be though. I've heard good things about this book, though I'm not sure it's one I'd like. I have really enjoyed Morsi's contemporaries, though -- she definitely puts a twist on the genre norms. Nicola, that's the thing about this particular book, I didn't think I was going to enjoy it or "buy" this relationship. Morsi did an excellent job of putting this story together. It's kind of sad about "simple" characters :( I guess that's why they're not often featured as H/H. I'm intrigued by the simple hero. I'm adding this to my TBB list. Love your review. Thanks, Hilcia! This story sounds very sweet and I have to admit the time period and setting is rather unique for a romance. That alone has me thinking I should give it a try. Thanks for the recommendation, Hils! Now I want to re-read this one, even though I still have plenty of unread Morsi's in my TBR. Sigh. This was my first by her, and I really adored it. I also really loved Courting Miss Hattie, and am looking forward to your review! I've only read one Pamela Morsi book yet and that was Sealed with a Kiss. I loved that book and I've been looking for Simple Jess for years... One of these days I'm going to come across it in the UBS and it's going right to the top of my TBR pile. Christine, this is definitely a different type of historical and I think you might enjoy it. The setting and time are great and the community Morsi develops is amazing. Leslie, I agree, especially after reading Courting Miss Hattie. Non-traditional characters seem to be a specialty. I'm loving her writing & characterization.